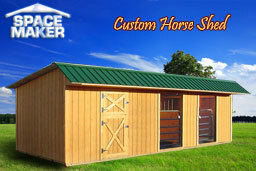 Space Maker Portable Buildings builds amazing, sturdy custom built sheds for your needs based on your specifications. 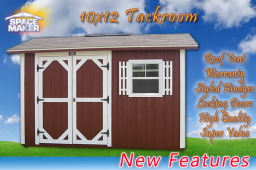 Take a look at some of our custom designs at 4027 Murfreesboro Road, Antioch, TN (615) 641-2500. 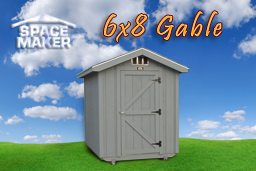 We’ll help you create the perfect small portable building. Need a building moved? 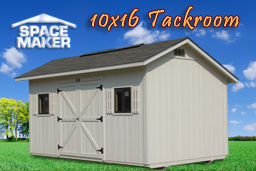 "WE MOVE BUILDINGS" - When you move you can take your portable storage shed and storage building with you. We not only move and take great care with your building, but we also level it on concrete blocks at your new location. Don't settle for someone who just drops it off on the ground and leaves it, as many do. We do a professional job to ensure the integrity of your building will last for years to come. Pricing depends on the size of your building and mileage from our location. 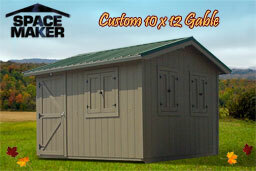 Call today for your small building and shed relocation service needs.